Aquatera is proud to offer the utmost in resident services. Expect nothing less from our resort style community. We’ve made it extra thoughtful by design. We’re here to provide for every convenience no matter how big or small. 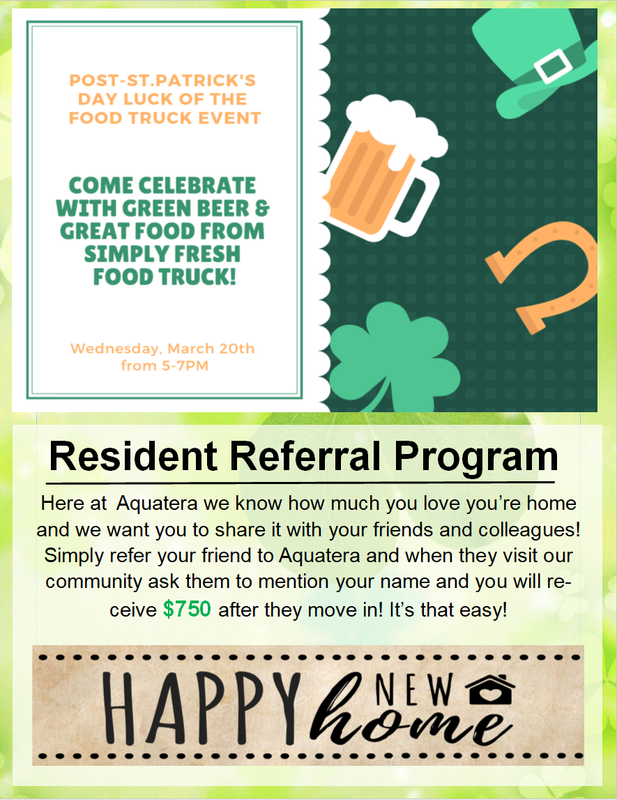 After all, you deserve the best and at Aquatera we are here to give you the ultimate lifestyle in every aspect. 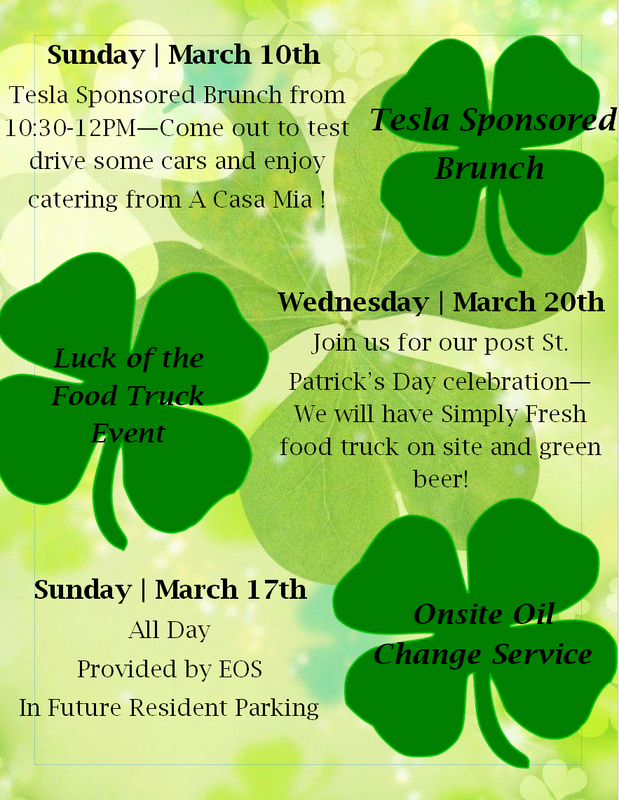 Check out this month’s newsletter with important announcements, event updates and more! 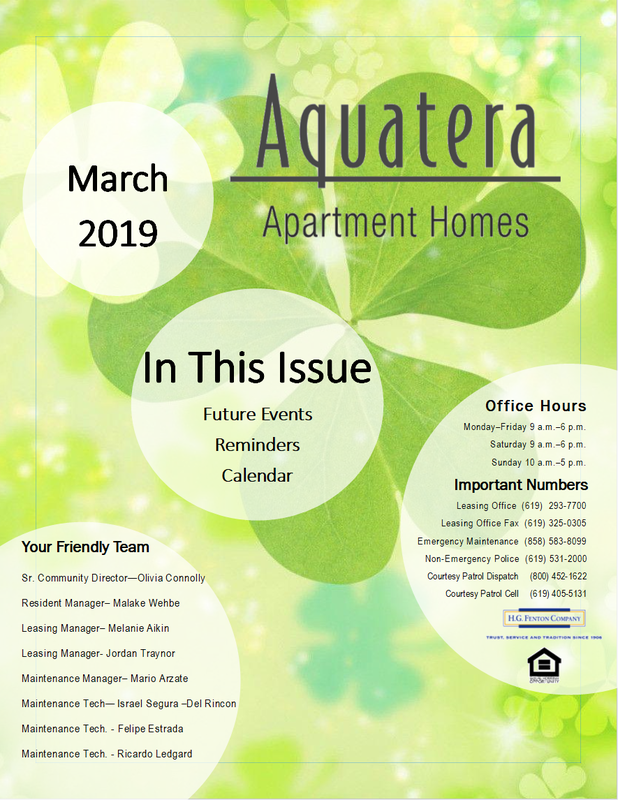 Stay up to date on what is happening at Aquatera! If you’re expecting a package delivery while not at home make sure to sign up for Luxor for 24 hour delivery and pick up! We offer a complimentary pest control service every Friday! Please visit the leasing office in advance to fill out a pest control request form and pick up a pest control tip sheet from our office. 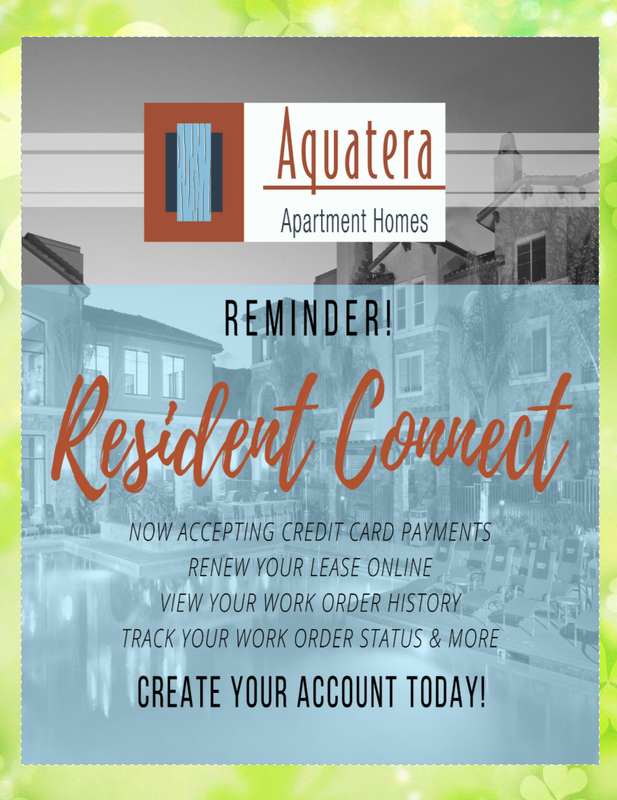 Complete and Fax to the Leasing Office at 619 325-0305 or Email the form to aquatera@hgfenton.com. No need to go anywhere for your dry cleaning needs! 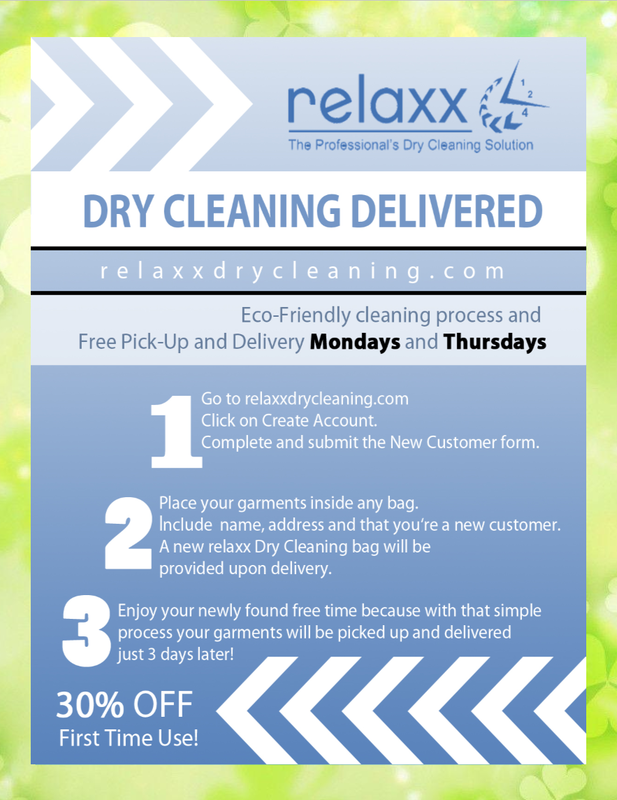 Relaxx Dry Cleaning comes to Aquatera for your convenience! Residents will receive 30% OFF First Time Use! 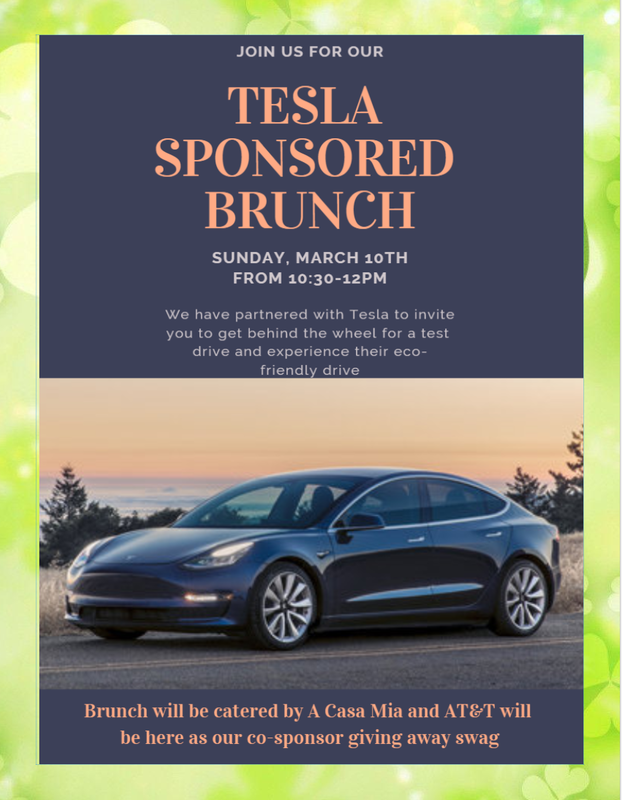 Visit the website and register @ www.RelaxxDryCleaning.com Visit the Leasing Office to drop off and/or pick up your clothes! 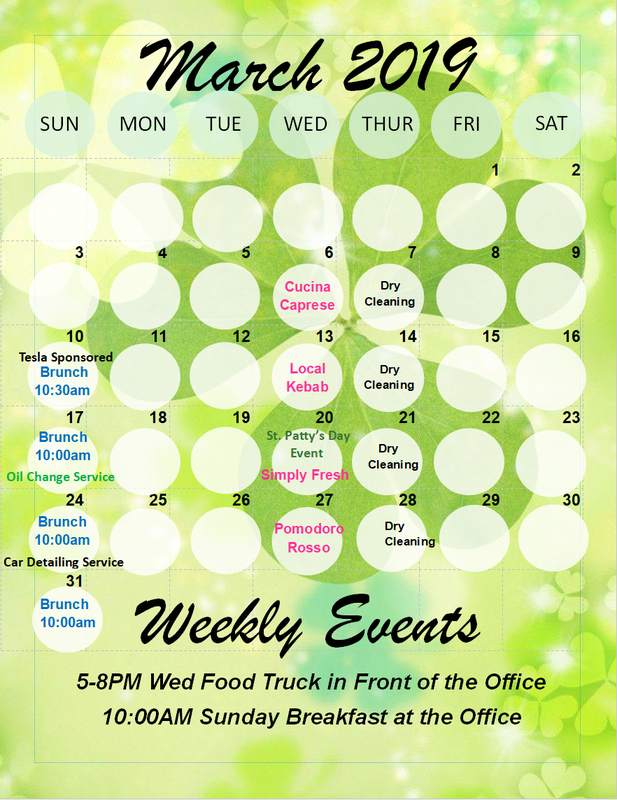 Convenience: Free Pick-up and Delivery to your home or office on Mondays & Thursdays! We have reusable bags available in the leasing office! Value Pricing: Affordable Dry Cleaning and Laundry service saving you money without sacrificing quality. Dependable Service: With the twice-per-week (Mondays & Thursdays) scheduled service days you will save time and money on gas! We are happy to provide a poolside towel service for your convenience and enjoyment. We ask that you please drop off the used towels in the bins provided in the pool exit gates and not take the towels home so we may continue to provide this service. For your convenience, we’ve included these helpful pdf guides. If you have any additional questions, please contact our leasing office at 619-293-7700 and we’ll be happy to help. Check your outstanding balance, review your most recent bill, and make your payment directly. Set up service, review your statement/most recent bill, and make your payment directly. Change your address, schedule package pick-up, request your mail to be held while you are on vacation, or find your local post office at www.usps.com.